I realize as I write that the characters are mostly male. I feel very bad about my sexist calendar. I will try to include more women in the fourth quarter. 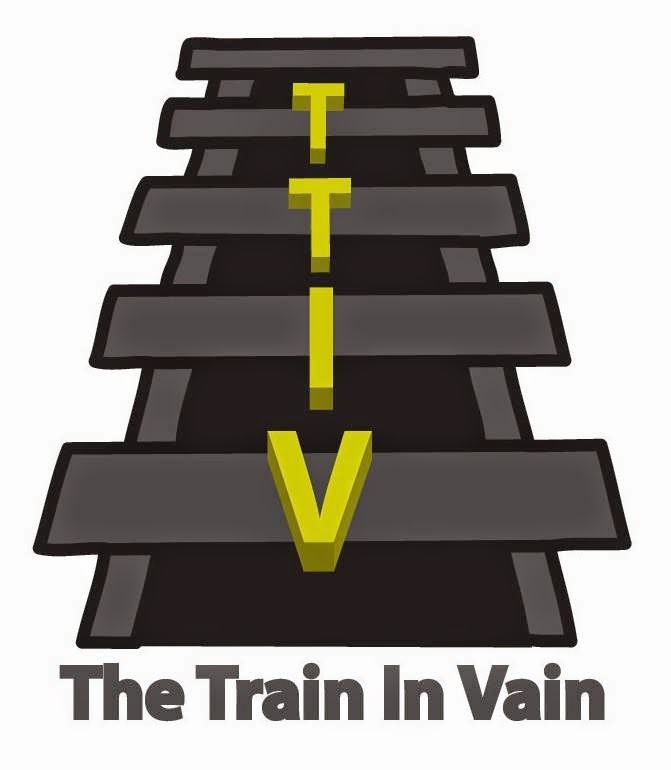 We are nothing at TheTrainInVain if not inclusive. And now, without further ado, here are the interesting characters of the third quarter. -- Billy Idol, "Eyes Without a Face"
Sometimes, you get on the train and you come upon a seated person who is wearing a hoodie sweatshirt that is completely covering his face. At least, you think the hood is covering his face. For all you know, he doesn't have a face. Maybe he's the grim reaper. Maybe he's dead? He isn't moving at all. Maybe he's hiding because he's on every wanted poster from New York to Nesselwang. He's leaning against the window, perhaps asleep. How would I know? I wouldn't. He's creeping me out, and I'm looking for other seating arrangements. -- Black Sabbath, "Iron Man"
The "Iron Oozer" isn't a WWE performer. To explain the Iron Oozer, I first need to recap the concept of the "oozer." The oozer is the person who takes up one seat and "oozes" into the next seat. See earlier blog post for a visual representation. Often, oozing isn't done purposely. The person may be large-boned and naturally has some fall over into the next seat. You sit next to him, and he does his best to make room for you. You can't fault him. The Iron Oozer, on the other hand, is an angry and vindictive oozer. The Iron Oozer will not budge as you sit down in the seat next to him. You sit down and he remains EXACTLY in place. You can see that there is space between him and the other side of the seat, but he will not move. It feels like you're sitting next to, well, a block of iron. You could try to find another seat, but by the time you've settled next to the Iron Oozer, the other seats in the car have likely filled up. My advice, friends, is stay strong. Shove yourself in there and do not move. I find that 82.9% of the time the Iron Oozer is weak of heart and eventually retreats. Victory will be yours. Must I be, a man in a suitcase? Is it me, the man with the strangest face? -- The Police, "Man in a Suitcase"
I get scared when I see Huge Suitcase Guy. Huge Suitcase Guy is not a professional commuter. Huge Suitcase Guy didn't feel like springing for a taxi to the airport, so he got on the train with his suitcase containing clothes for a month. Judging by how he's struggling with it, he's likely packed his barbells for this journey. Why does he scare me? Because he's going to try to put that case on the overhead rack. He'll pick the bag up and swing it around all the seated people to put it there. A person inside the swinging arc is going to get hurt. Sometimes, Huge Suitcase Guy will keep his suitcase in his lap. That's always great fun for the guy next to him. In those situations, Huge Suitcase Guy also qualifies as an Iron Oozer. This calendar is coming along quite nicely, I must say. Just three more months to go. Let me know if you have characters you think belong on the calendar. Women and children will be considered first.